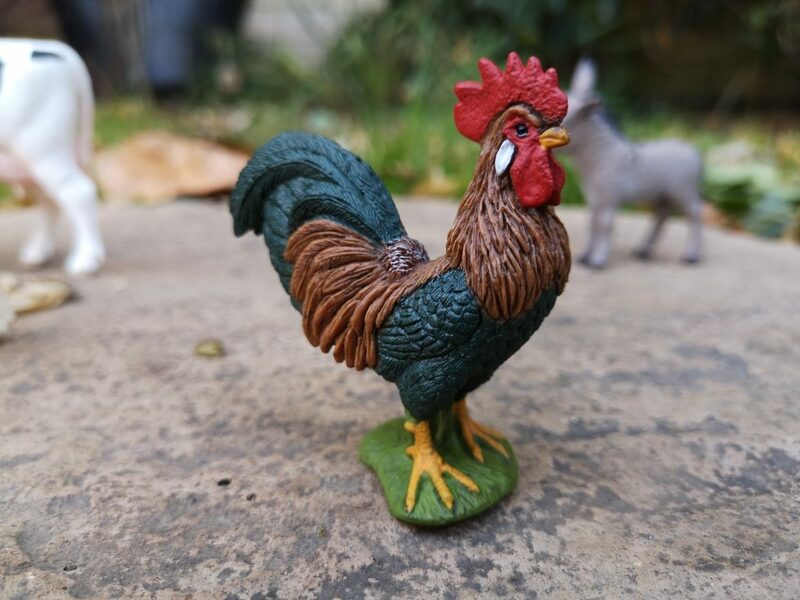 You will probably know by now that we love Schleich figures. 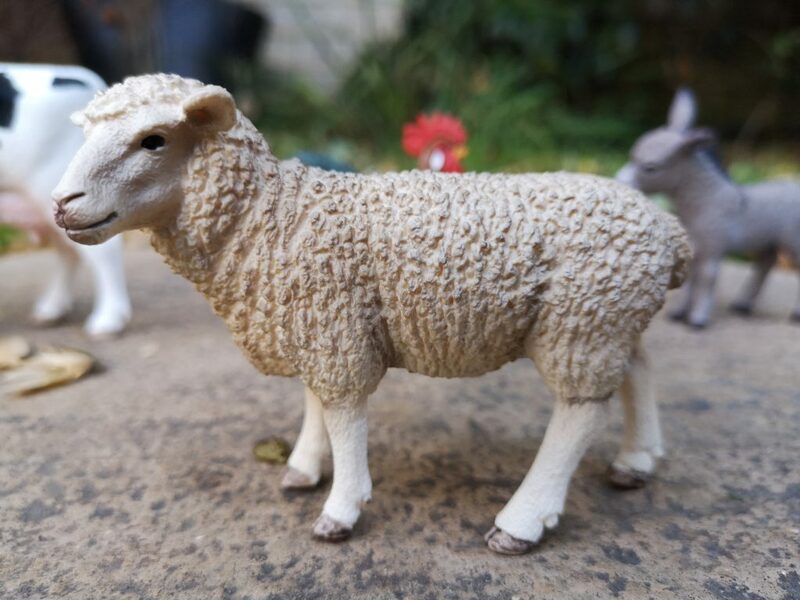 Realistic and fabulously tough for serious play, Schleich have been going a long time and their hand painted figures are just as popular today as they were when they started in 1935. 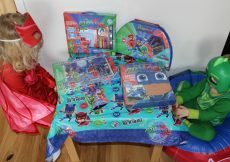 Schleich are thrilled to announce that a range of their figures will now stocked by George at Asda. 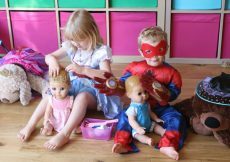 Although you’ve been able to find them on the shelves of most local toy shops and of course online for many years, this exciting partnership will open the figures up to a brand new audience of parents who never actually get to browse unless they are doing the weekly shop. 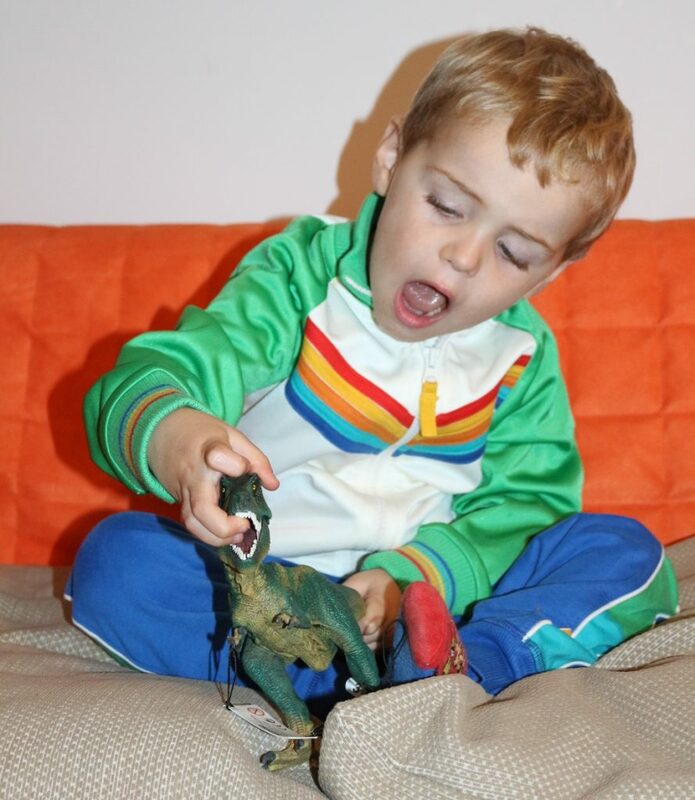 To celebrate, we were sent a Tyrannosaurs Rex and a Farm World Starter Set. The T-Rex is, as you’d expect, quite a big figure. 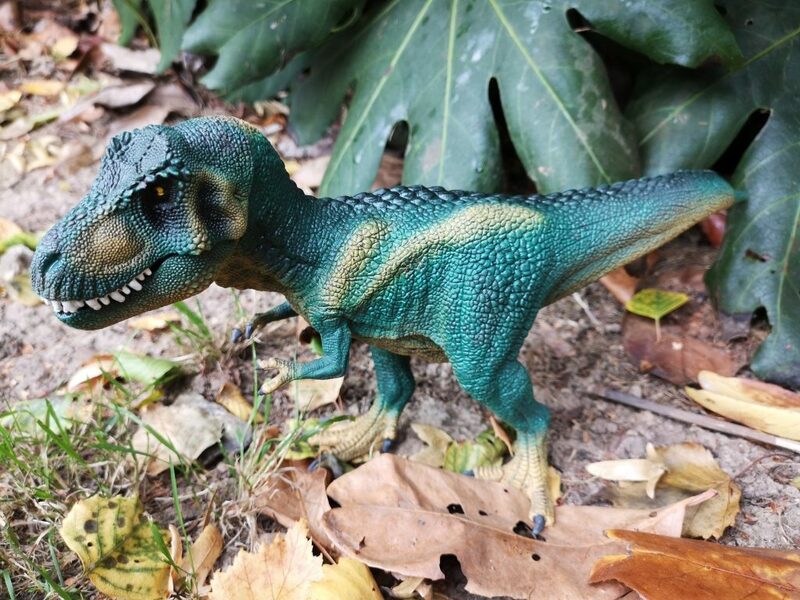 At over a foot long from nose to the tip of his tail and 5.5 inches tall, he’s the biggest Schleich dinosaur we have. 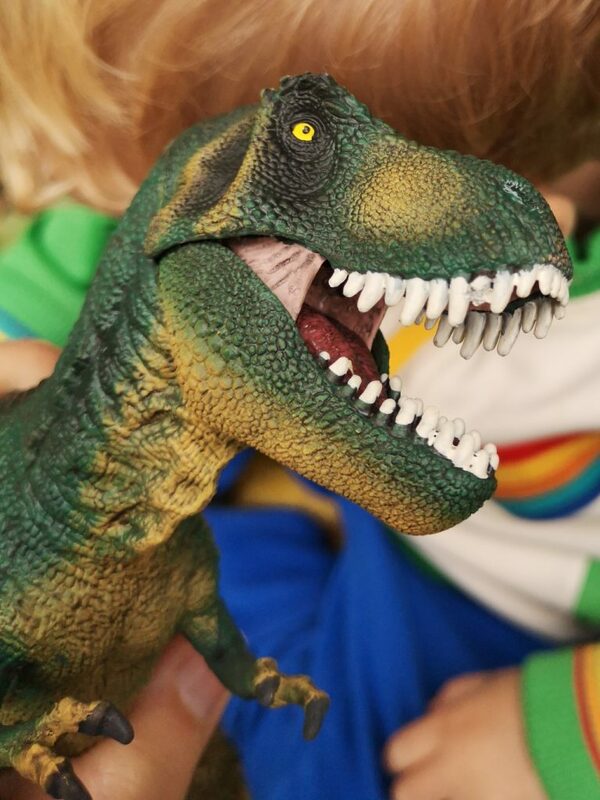 He has a movable jaw for roaring a fearsome roar (or squeaking, which has amused us no end), big clawed feet which stand him on the floor, and small hands (which don’t move) for playing the piano or whatever they did with them. 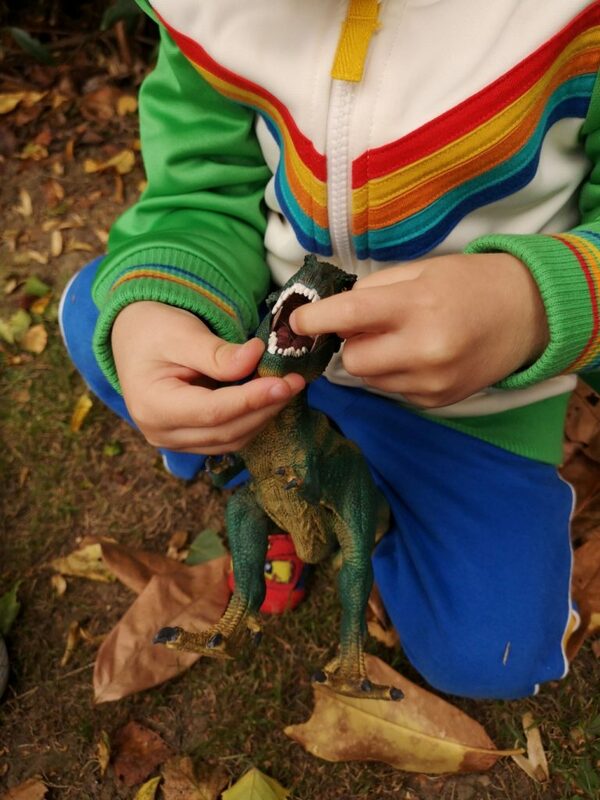 The Schleich T-Rex is a beautifully crafted toy; the plastic is moulded with remarkable attention to detail; he feels lumpy and scaly like a dinosaur (probably) should (I haven’t actually touched a real one). As with all Schleich figures, the fine detail is painted by hand. 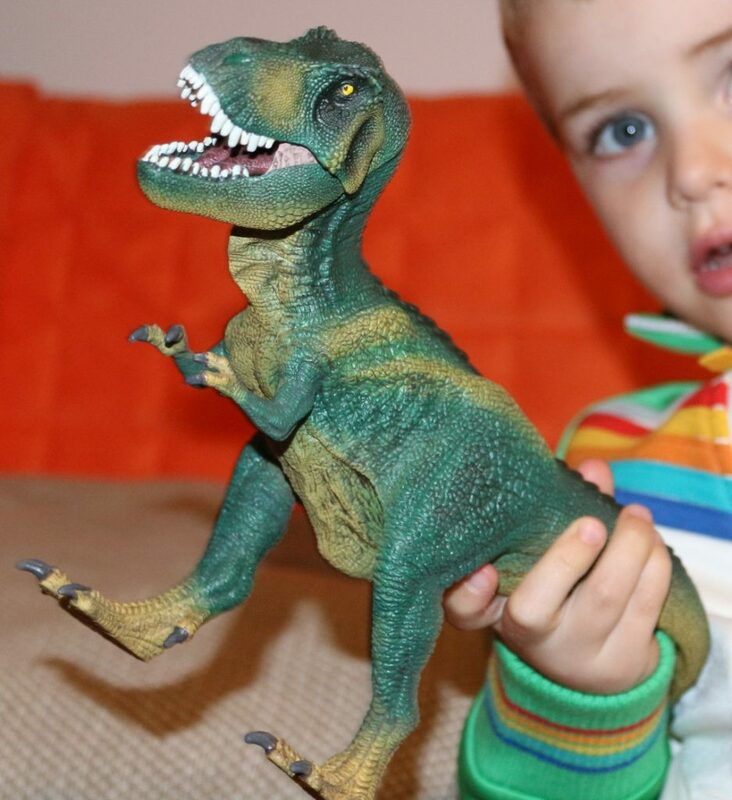 If you have a little dinosaur lover at home who would love this T-Rex figure, you can currently buy him from George at Asda for £15.97 here. Be aware that he is very solid and heavy, so is recommended from children 3+ who won’t use him to beat siblings around the head with. 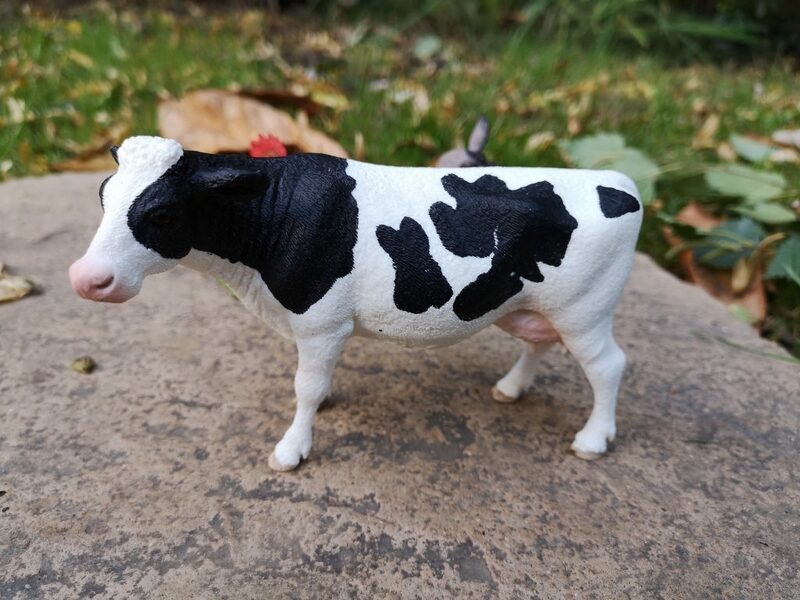 As with the entire Schleich figure range, the farm animals are extremely lifelike with handpainted detail. Size-wise they’re not as big as the dinosaur; in face they’re all to scale so you can play with them together and collect more realistic animal figures to fill up your farm and maybe even have a dinosaur invasion. 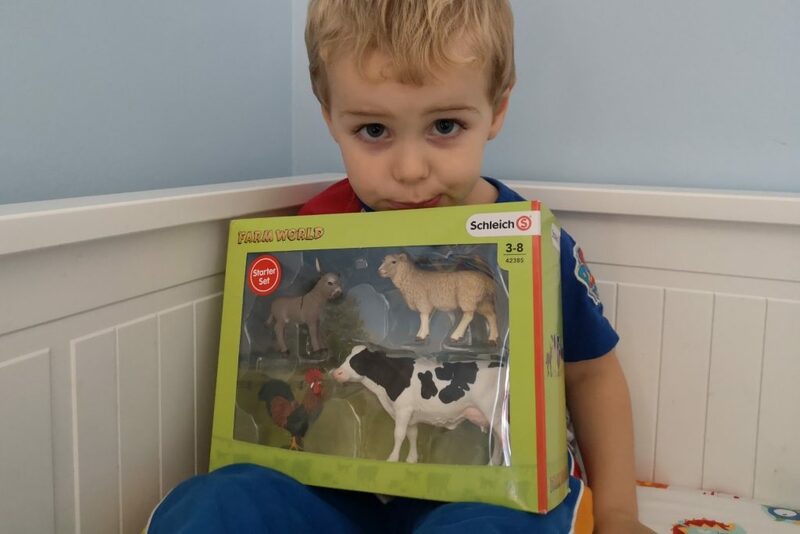 The Schleich Farm World Starter Set can be purchased from George at Asda here for £14.97. 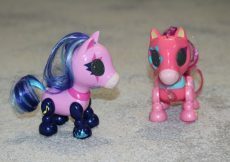 You can buy a pack of five smaller farm animals (foal, calf, dog, cat and goose) to fill up your farm here. 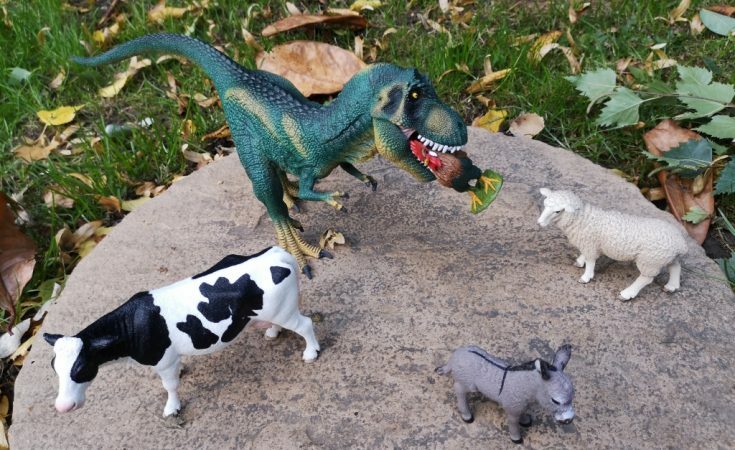 You can see the rest of the Schleich range available to buy from George at Asda including dinosaurs, wildlife and the bayala collection on their website! 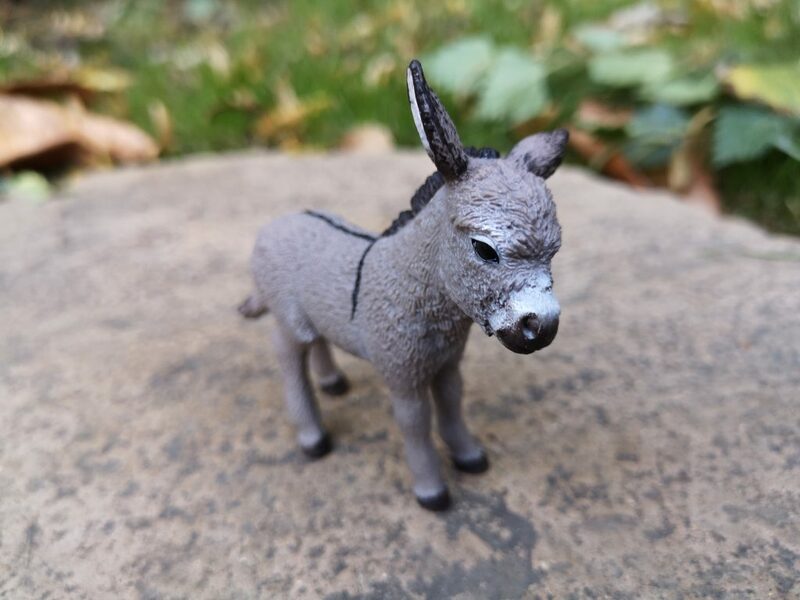 See our other Schleich figures reviews here. 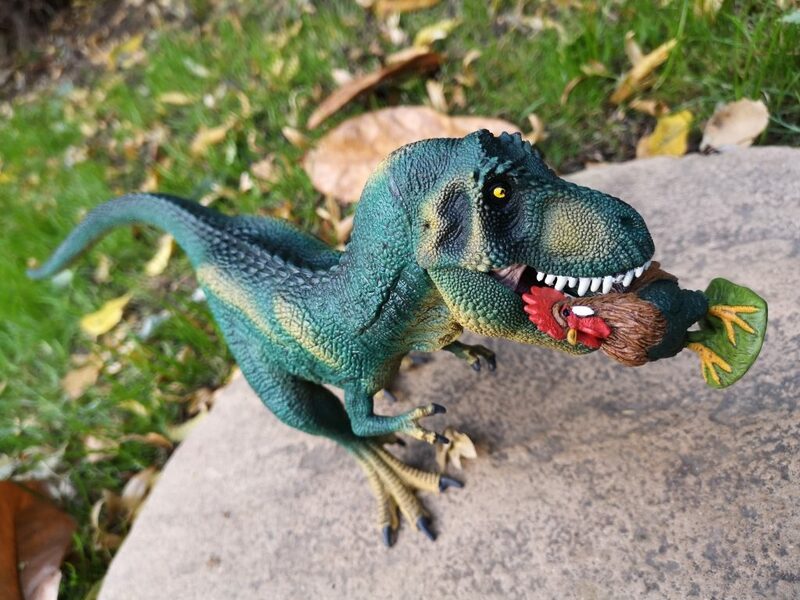 We received the Schleich Tyrannosaurus Rex and Farm World Starter Set for the purposes of this review but all words and pictures are mine. 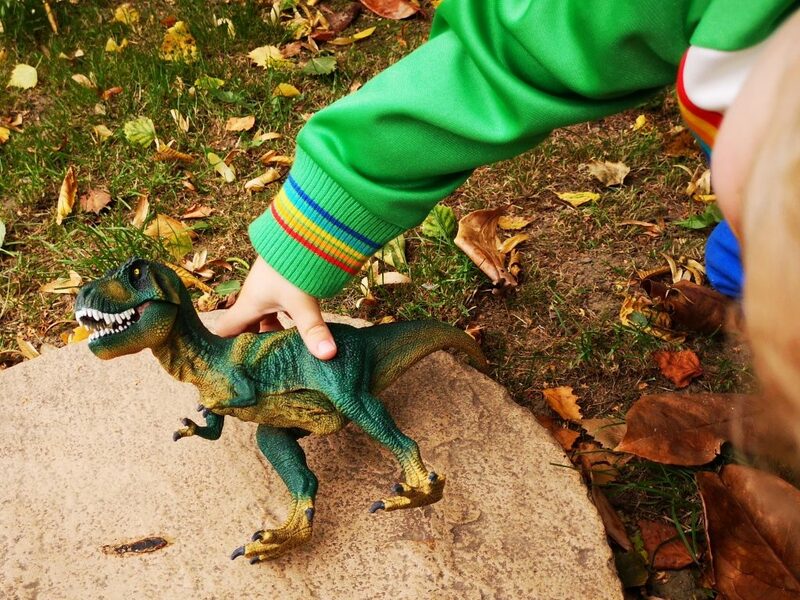 You can WIN a Tyrannosaurus Rex over on my Facebook page until 28th September.